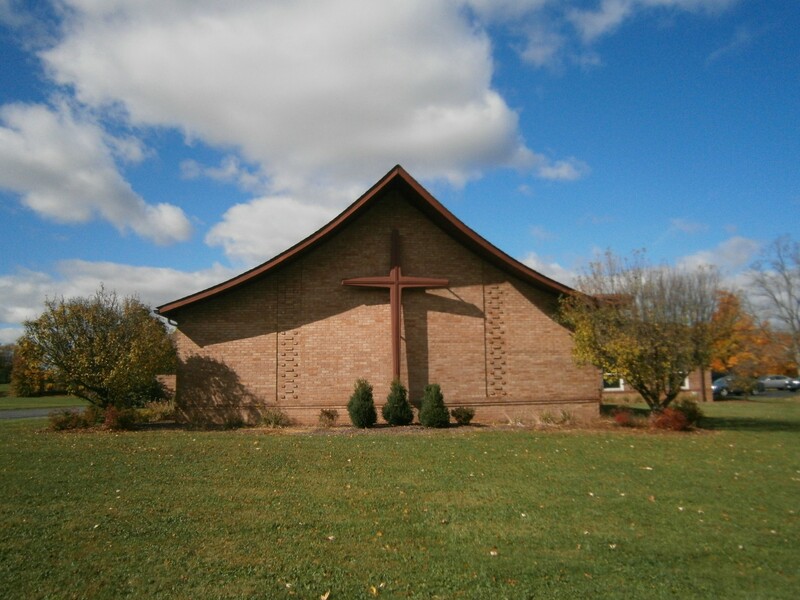 North Lima Calvary’s roots date back to the Evangelical Church, which had its beginnings in eastern Pennsylvania under the Ministry of Jacob Albright. 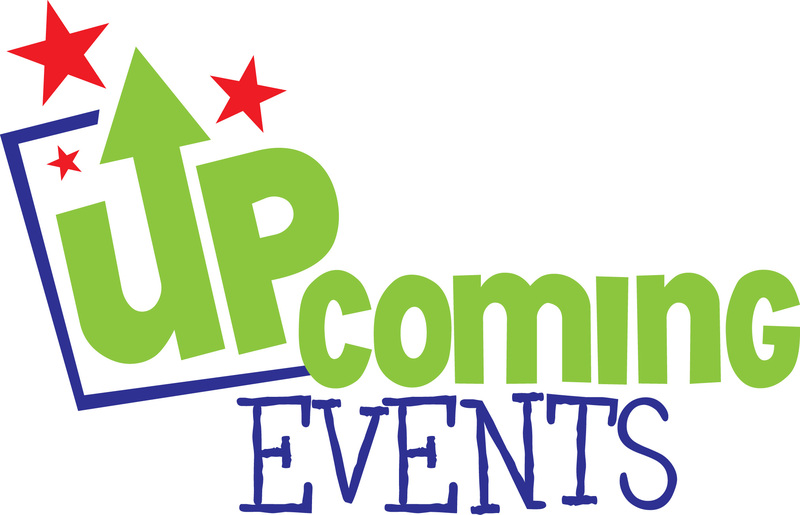 The beginning of The Evangelical Church in Ohio was in 1816. The Reverend Kring was a minister of groups that met in homes of the Kerns and Keck families in this area as early as 1833. Ministries of The Evangelical Church established a class in North Lima in 1836. In 1844 the first house of worship was built. It was located across from the village hall. In December of that year, Bishop Seybert and Peter Weist, a circuit rider, visited the church. This building was used a number of years until it was burned to the ground, supposedly by a group of enemies of The Temperance Movement, in an effort to prevent a series of meetings that were held in the building. 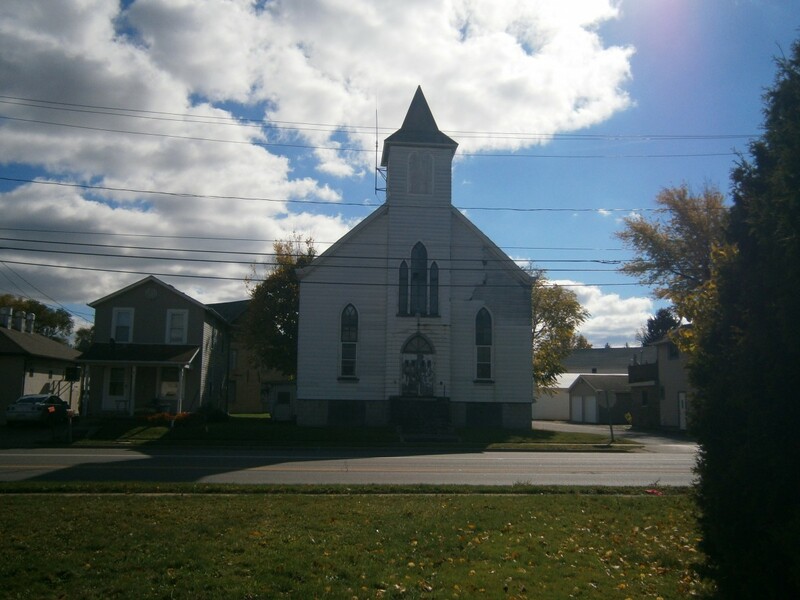 The second house of worship was built and used until 1876, when it was sold to the village as a Village Hall. During this time, in 1870, the North Lima Evangelical Church yoked with New Springfield Evangelical Church and formed The North Lima Circuit of the Evangelical Church. One minister served both churches. In 1877 the third house of worship was built at a cost of $4,000. The structure still stands, unoccupied, as of 2014. Until 1946, the worshipers were members of The Evangelical Church. Then they merged with the Brethren Church, forming the Evangelical United Brethren (E.U.B.) Church. In 1962 The New Springfield E.U.B. and The Calvary E.U.B. became single church charges with their own ministers. In 1963, several Calla Church members joined with our congregation making us a stronger church. After several meetings and much planning and discussion, the congregation, under the direction W.A. Seith, voted to purchase land on the corner of SR164 and SR165 for a new church building. On April 26, 1964 the ground was broken for the present church. 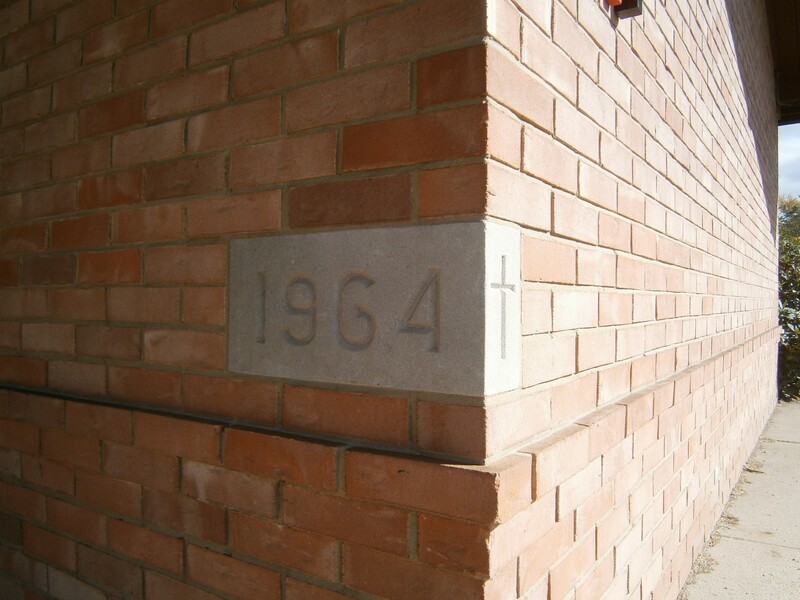 On September 20, 1964 the cornerstone was laid. Important papers and pictures were placed in a box behind the cornerstone. The last service in the old church was held January 10, 1965. The next week service was held in the new church. Several years later, a new church tower was dedicated, which included the rededication of the bell, which had hung in the original church built in 1844.